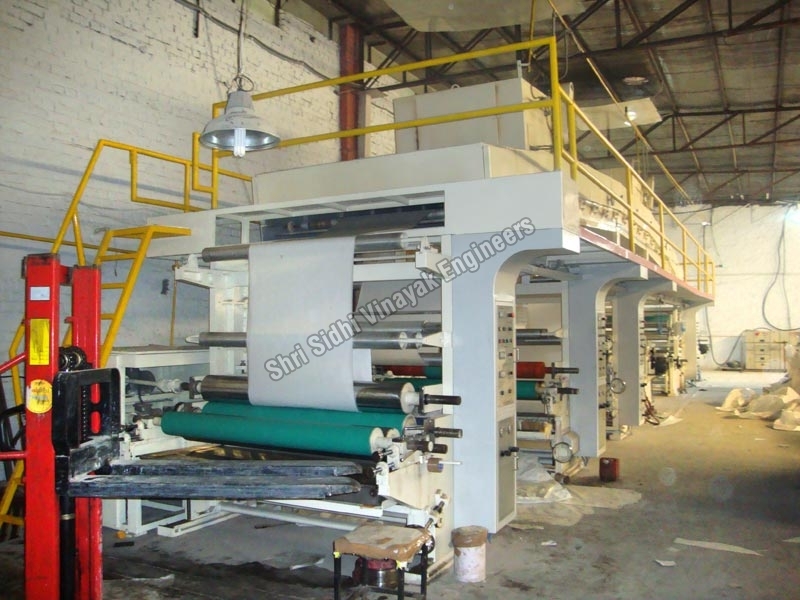 The company is the reliable Manufacturer & Exporter of highly efficient Silicone Coating and Laminating Machine. 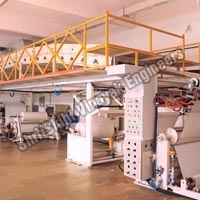 It is a three station coating machine that is used for making release labels. 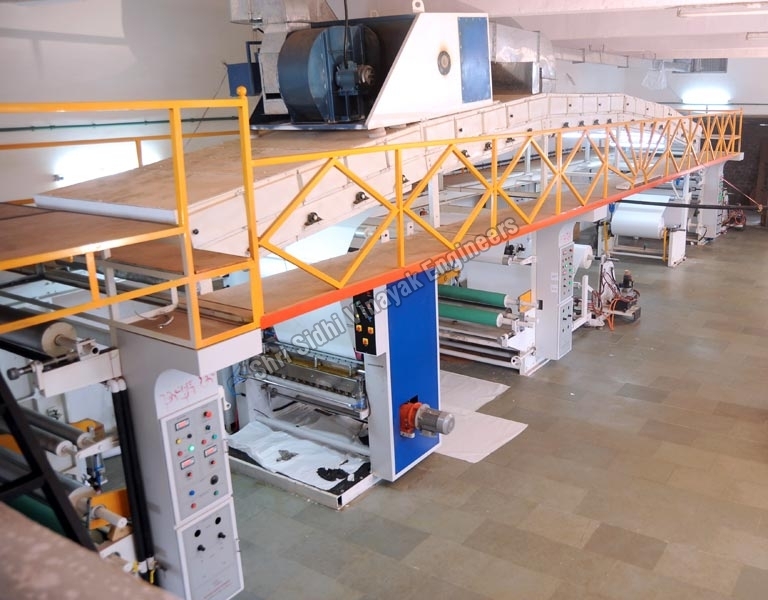 First station is for solvent less (Platinum as catalyst) coating of silicone, second station is for single color gravure printing and third station is for water base adhesive coating. 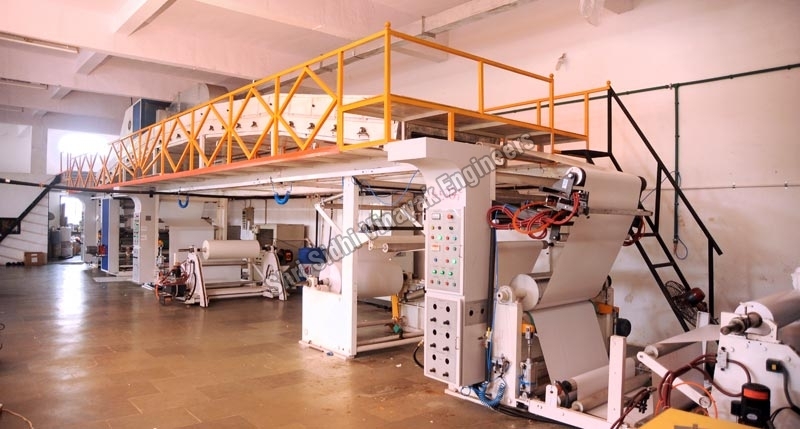 Our Silicone Coating and Laminating Machine features seven or eight synchronize drive controlled through PLC with auto-tension control system. 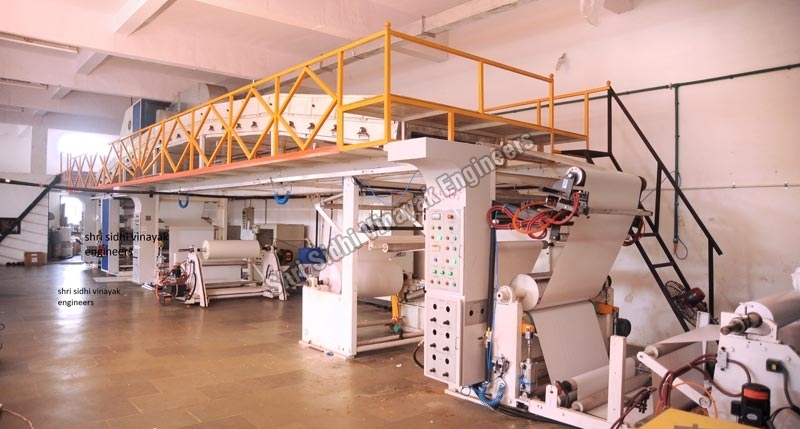 It also has center winder for rewinding with roder and hot air with diesel or gas fire system. 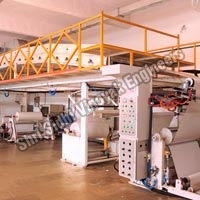 The loading and un-loading of paper rolls is done through motorized and pneumatic systems. 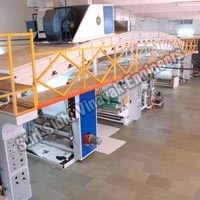 In addition, it has two-edge guiding system at both un-wind and one web guiding system at rewinding. 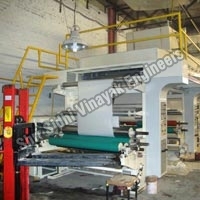 Available Size : 1100 mm standard (can be modified as per customer requirement).